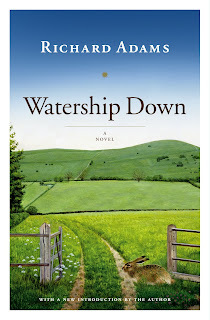 I'm back from my vacation, and this week, I have a Classic Critique for MMGM of Watership Down by Richard Adams. This famous novel tells the story of a group of rabbits that are forced to evacuate their warren and find a new home in a human-dominated world. The plot is exciting. If you've already read Watership Down, you know that the rabbits' search for a new warren to live in is a long one. After learning that a potential disaster will likely befall his existing warren, the levelheaded Hazel leads his fellow rabbits (such as the aggressive Bigwig, intelligent Blackberry, and supernaturally prophetic Fiver) through a host of adventures. They break rabbits out of human captivity, discover the horrifying conditions of other warrens, and try to stay together and stay alive. For a book published in 1972, the plot moves surprisingly fast, with minimal florid prose allowing the book to hold readers' attention. The novel shows humans' negative impacts on animals. Watership Down serves as a bit of a commentary on how humans treat animals. The rabbits encounter humans who are destroying their habitats, trying (and often succeeding) to hunt them for food, or keep them as pets in lonesome, depressing conditions. By showing readers what sorts of cruelty humans inflict on animals, the novel has helped generations of people keep the needs of other species in mind. Hazel shows what it means to be a great leader (usually). Many books today feature either a single protagonist or several who are all competent enough to work together. However, in the real world, most people have to shepherd others in order to accomplish a given goal, and Watership Down acknowledges this fact. Hazel is forced to analyze the other rabbits' personalities and figure out how to keep their self-esteem high (such as by comforting or encouraging them). He also has to decide when to use his own smarts and when to rely on the help of others, making his leadership something that many people should learn from. Characters fall flat at times. Too many characters in Watership Down serve as placeholders who exist simply to make Hazel's party larger (Acorn, Speedwell, Hawkbit, Silver, the list goes on). Having these characters not only annoys readers who expect many developed characters, but also leaves the story with only a few characters who even have personalities, much less backstories and complex motives. Although the story still manages to remain interesting due to characters such as Hazel, readers will wonder how much better the book would have been with a better cast. A concerning amount of sexism is present. If Watership Down had been written today, although it might not have had the charm of an older novel, it at least would not have been so filled with sexism. There are no female main characters (which ends up serving as a plot device when the rabbits want to reproduce and have to find female rabbits), and the male rabbits that make up the book's cast consider the female rabbits to just be a means for reproduction. Characters that might have been thought once as kind and considerate (such as Hazel) fall apart when they start discussing whether or not the female rabbits will be able to reproduce (ignoring whether or not those rabbits will want to). Like some of the male rabbits, the female rabbits are also never displayed with any personality but the consequences in their case are more grim: the males are given the perfect opportunity to objectify the females. Read the section on the novel's Wikipedia page entitled "Criticism of gender roles" and you'll see this issue is well-known and well-acknowledged, severely dropping the book's status in my view. Some of you, if you are students, may be required to read this novel for school (like me), in which case you are in for a very flawed but ultimately pleasant read. If you are an adult who has never read it or a child who wants to read it for fun, however, the choice is more complex. The book's portrayal of its female characters could be so damaging to children's developing viewpoints that it makes it hard for me to recommend that they read it. Adults, however, might actually enjoy the novel's fast-moving plot, commentary on how humans treat animals, and display of good leadership, and they will definitely be more informed members of society for having read such a famous classic! 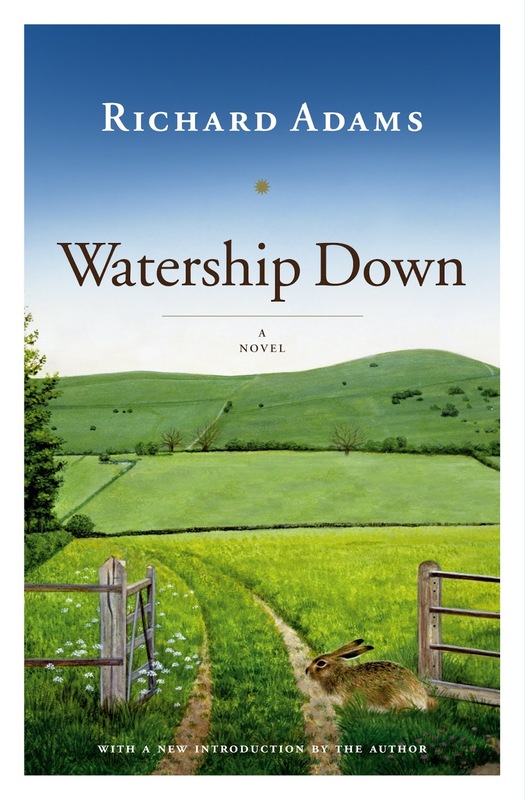 Watership Down's positive and negative qualities paint a vivid picture of what was acceptable and enjoyed in the 1970s, and readers will finish the book with a broader understanding of how writing styles, archetypes, and cultural ideas have changed since then. 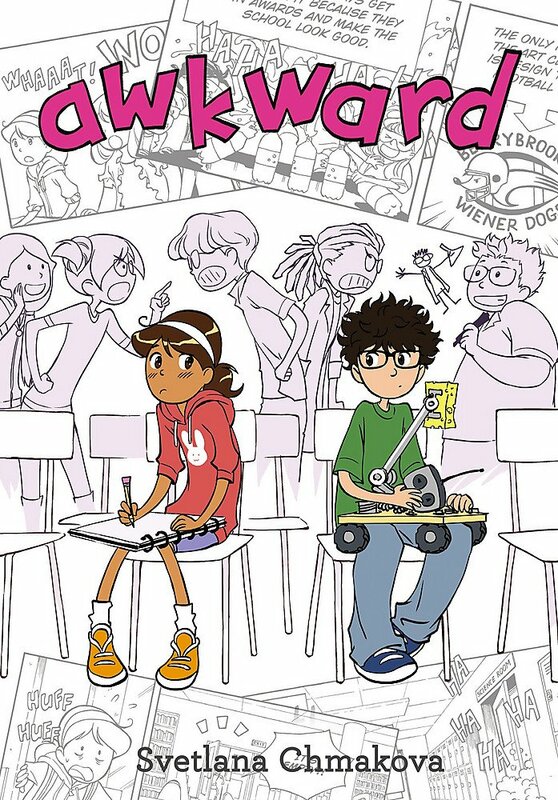 For MMGM, I am recommending Awkward by Svetlana Chmakova. The protagonist of Awkward (a graphic novel) is Penelope Torres (also known as Peppi). Her life at middle school is okay, with her having friends and being part of her school's art club (which constantly fights with the science club). However, on her first day at school, when she dropped all of her things and a shy kid from the science club named Jaime tried to help her, kids in the hall made fun of her, prompting her to shove Jaime away and run off. Her constant guilt at doing so makes her feel miserable and try to avoid Jaime at all costs, but when he becomes her science tutor, Penelope and Jaime start to become friends. 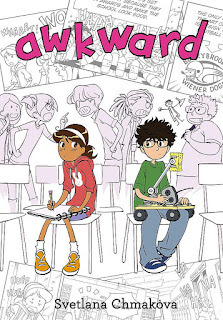 As the art club and science club are pitted against each other in a competition, Penelope has to balance working with fellow club member Maribella to print the club's comics in the school newspaper, keeping her still-amiable friendship with Jaime hidden from the other club members, and worrying about how to apologize for her behavior toward Jaime in the past. This book is absolutely wonderful—I finished it in just three days, and it only took that long because I was mesmerized by how beautifully drawn every character and scene is! The characters are vivid and well-written. 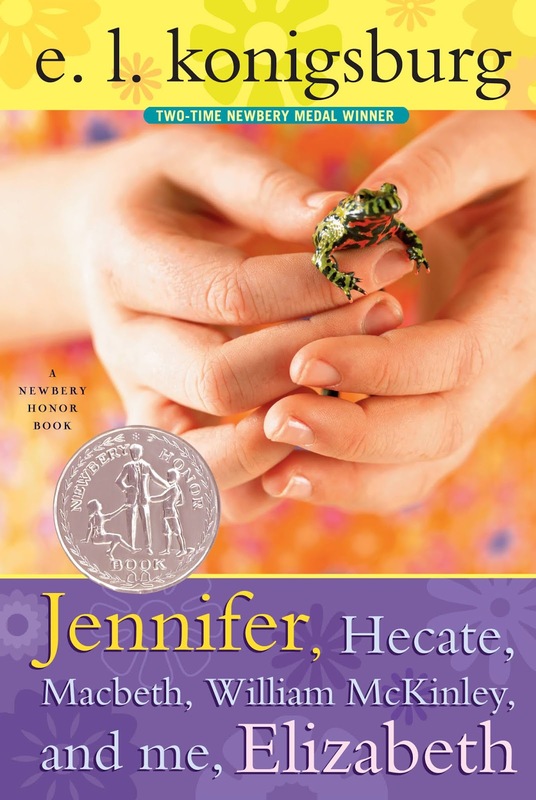 Penelope is a well-meaning girl, despite her mistake earlier in the book, and her worries about school and interest in art make her a compelling character. 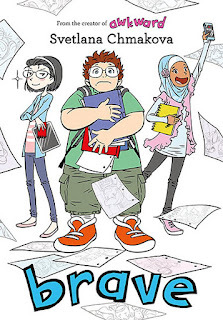 Jaime is great as well: while a bit awkward initially, he is shown to be smart, kindhearted, and the only member of the science club who can overlook its conflict with the art club and make friends with one of its members. I do also have to mention how great Maribella is, as she charismatically leads the art club through making newspaper comics for the first time and manages to function despite extreme pressure from her father. The book is filled with revelations and plot events that will keep any reader obsessed with the novel, just as they did with me! 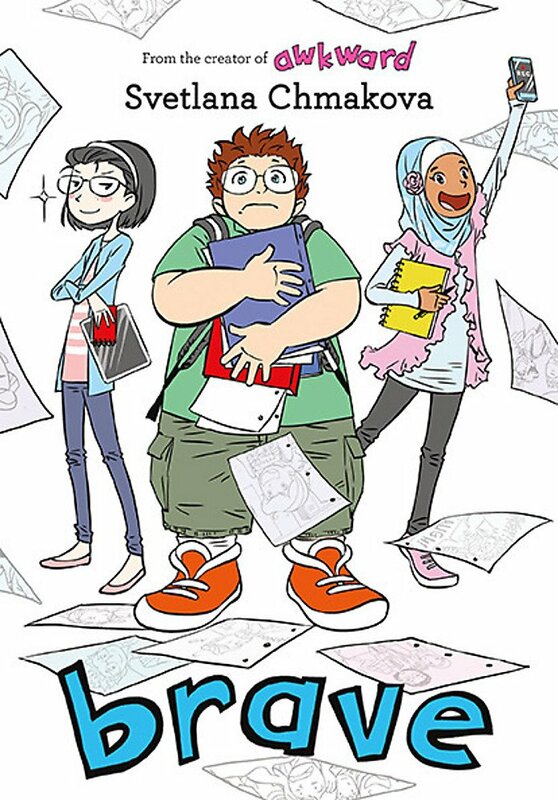 Exaggerated expressions and running gags keep the book upbeat and funny, and it also features an immense amount of diversity: characters with Hispanic, African, and Asian origins, students wearing hijabs, people in wheelchairs, and both genders taking prominent roles in both the art and science clubs. All in all, Awkward is a touching, funny, and fast-moving book that has cemented itself as one of my favorites of all time (and prompted me to read the sequel, Brave)—please go buy a copy now and read it, as you won't regret it! 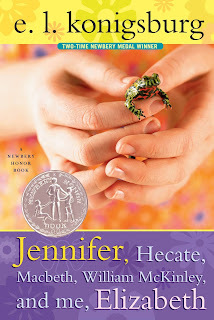 For MMGM, I am recommending Jennifer, Hecate, Macbeth, William McKinley, and Me, Elizabeth by E. L. Konigsburg. Jennifer, Hecate, Macbeth, William McKinley, and Me, Elizabeth is, as described in the title, narrated by a girl named Elizabeth. Her family has just moved to a new town, which she does not particularly like, and she is further irked by a mean yet popular girl named Cynthia. However, Elizabeth ends up befriending a girl named Jennifer. Jennifer tells Elizabeth that she is a witch, and she appoints Elizabeth as her "apprentice witch." At first, both girls have fun together, with Elizabeth following Jennifer as she chants, performs rituals, and talks about the books she has read on witchcraft (quite many, as she is an extremely prolific reader). However, Jennifer's controlling behavior and somewhat rude demeanor ends up leading to conflict between the two girls. The novel's author, E. L. Konigsburg, won the Newbery Honor for this book the same year she won the Newbery Medal for the classic From the Mixed-Up Files of Mrs. Basil E. Frankweiler (read my review here), the only author to do so, before later winning the Newbery Medal again; as you might expect, the writing in this book is fabulous. Both Elizabeth and Jennifer's personalities and interests are fully fleshed out (one paragraph describes an assortment of topics that the girls discuss, while another section describes the sorts of things Jennifer would love to accomplish with witchcraft), and the story is rich with amazing prose, a fast-moving plot, and many incidents of humor, which keep the story's mood light. Konigsburg's portrayal of school and bullying is realistic as well. Jennifer, Hecate, Macbeth, William McKinley, and Me, Elizabeth is a fun and touching novel that readers of all ages will adore!